Low levels of public confidence in vaccines in the European Union are pushing immunisation rates down and the number of disease outbreaks up, according to an expert report on Tuesday. Recent outbreaks of measles – the highest number in the EU for seven years – are a sign of the immediate impact of declining vaccine coverage, the report said, and should prompt governments to act to boost vaccine awareness and confidence. The report, published by the European Commission and compiled by a team of scientists led by Heidi Larson, a professor and director of the Vaccine Confidence Project at the London School of Hygiene & Tropical Medicine, found differing trends in vaccine confidence across EU member states. 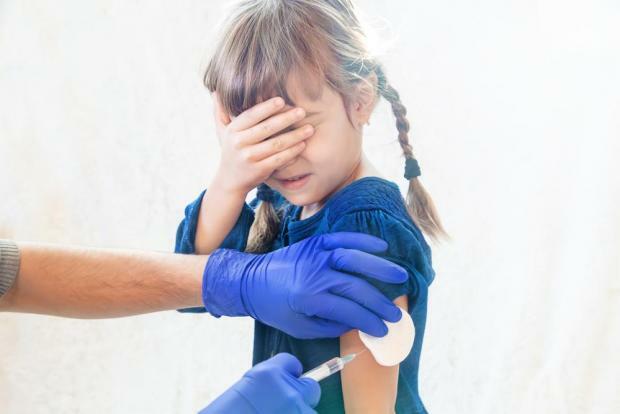 Some – including France, Greece, Italy and Slovenia – have become more confident in vaccine safety since 2015, while others, such as Czech Republic, Finland, Poland and Sweden, have become less confident. The EU's health commissioner Vytenis Andriukaitis said the report's findings showed "the need for EU action". He noted that Europe has lower confidence in the safety of vaccines than other regions of the world, and that seven out of the 10 countries with the lowest vaccine confidence in the world are in Europe - France, Greece, Italy and Slovenia. "This is partly due to the rising influence of diverse anti-vaccine groups that spread misleading information through the internet or in political fora," he said. "Their influence should make us all cautious." The report found that vaccine trust among medics is linked to confidence among members of the public, and that while family doctors generally have higher levels of confidence, there are worrying signs of mistrust even in the medical community. Some 36% of family doctors surveyed in Czech Republic and 25% in Slovakia do not agree that the measles, mumps and rubella (MMR) vaccine is safe, and 29% and 19% respectively do not believe it is important, the survey showed. The report found that since 2010, coverage of measles immunisation - defined as a first dose of a measles-containing vaccine such as MMR - has fallen in 12 EU countries: Bulgaria, Croatia, Czech Republic, Estonia, Finland, Greece, Lithuania, Netherlands, Poland, Romania, Slovakia and Slovenia. Vaccine confidence was defined in the report as trust in the effectiveness and safety of vaccines and in the healthcare system that delivers them. Confidence in, and demand for, vaccines is influenced by a number of factors, including the importance, safety, and effectiveness of the shots. Larson said monitoring that confidence over time can be an important barometer of emerging issues that countries may need to act on. Larson noted that across the EU, confidence in flu vaccines is lower than trust in the MMR shot. This is "perhaps in part due to the efficacy of the flu vaccine changing year to year" she said, but also because "there is a low perception of the various serious risks of influenza". Another concerning trend, Larson said, was increasing hesitancy among doctors to recommend flu vaccines to pregnant women: "This is worrying as the group is considered very high risk for serious complications when it comes to flu."